Samantha Williams joined the viBe board in 2018. Samantha is a passionate storyteller and communicator who believes wholeheartedly in the power of girls and women. She is thrilled to join the board of viBe, and to be part of an organization that authentically invests in nurturing and elevating the voices of young women of color. She currently serves as the Global Girls’ Education Initiative Lead and Chief of Staff to the CEO at Teach For All, a global network dedicated to developing collective leadership so that all children can fulfill their potential. Prior to taking on this role, she spent five years in Johannesburg establishing Teach For All’s organizational operations in Africa. Through this work, she led the organization’s external relations, growth strategy, and partner support in the region. 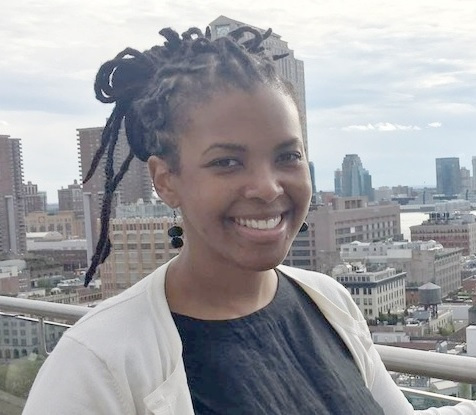 Before joining Teach For All, Samantha worked to improve educational opportunity in South Africa, working for the Oprah Winfrey Leadership Academy for Girls, and as a researcher and project manager for Harvard University. She holds degrees from the Harvard Graduate School of Education, the University of the Witwatersrand, and Georgetown University, where she is on the Board of Trustees of the George F. Baker Scholars Program. A proud Alabama native, she is currently shivering it out in New York City.